Get your chicken wings ready and claim your spot on the couch, because we’re just a few days away from the Super Bowl! We’ll be happy to be watching from this cozy stadium bed instead of outside in the cold! 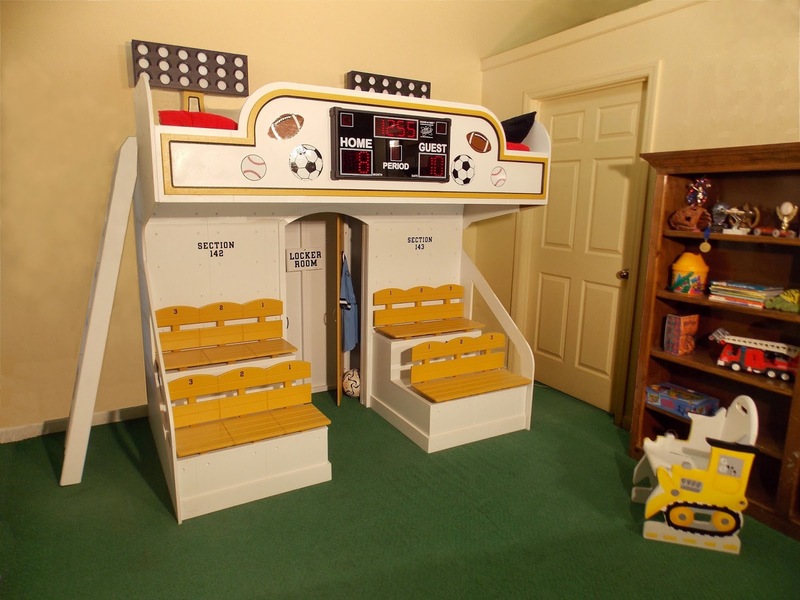 This children's indoor play house has "stadium seating," a locker room that doubles as a closet, and a scoreboard that really works! Once the game is over, you can climb up the ladder and settle into the lofted bed. It is the perfect indoor play house for the bedroom of the future Payton Manning! Who do you think will win the big game? Any recommendations for snacks to keep us full through second half?